The Diocese of St. Cloud in collaboration with OCP proudly presents Instituto OCP ¡Cantemos al Señor! 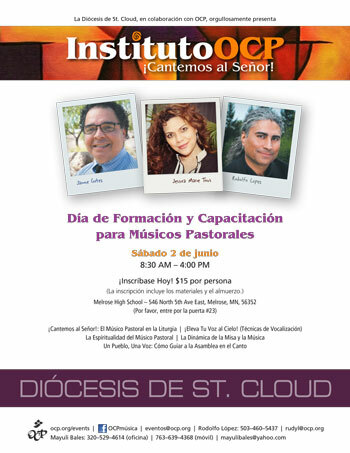 Jaime Cortez, Jessica Marie Tous and Rodolfo López will offer a training day for pastoral musicians in Spanish.